The tour starts at Stortorget- Main Square, in the heart of Stockholm’s Old Town. Walking along the cobbled streets of Gamla stan, you will hear the tales and historic facts filled with Vikings, merchants, kings and queens, heroes and villains. These stories will come alive as we pass the main attractions of the Old Town such as The Coronation Church, the Nobel Museum, Finnish Church and Stockholm’s smallest statue, lovely Brända Tomten Square and and the narrowest alley- Mårten Trotzigs Gränd. Leaving behind us the winding streets and picturesque squares we will conclude the Old Town Walk with a guided visit in the Royal Palace. It is not only the official residence of Sweden’s King Carl XVI Gustaf, but also counts as one of Europe’s largest palaces. On our guided tour, we will visit the elegant rooms and historic halls and listen to stories of the royals from bygone days, as well as present times. The tour ends after a guided visit in the Royal Palace. You may stay in the Royal Palace on your own or leave the Royal Palace with your guide. The Royal Palace may close to the he visitors without any notice due to official events or security reasons. In such case we will refund the tickets to Royal Palace adults SEK 160 pp, SEK 80 students and kids age 7-17 y.o. 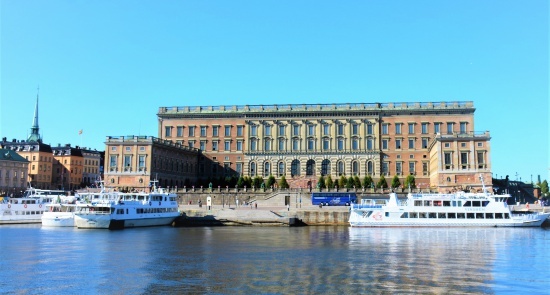 The guided visit in the Royal Palace may be replaced by a guided visit in the Coronation Church (entrance fee SEK 60 pp) or with a walk on Riddarholmen Island. The Royal Guards Changing Ceremony takes place in the palace outer courtyard every day between 23rd April and 31 August.